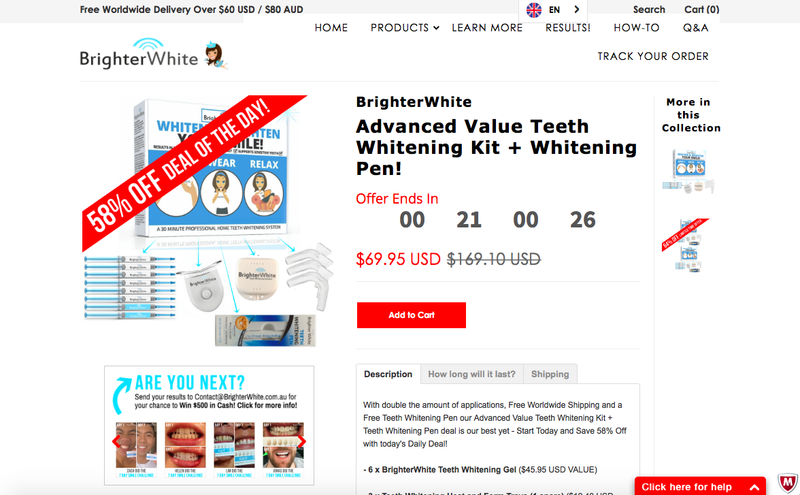 Recently, i've been seeing teeth whitening kits that can be done easily at home and i decided to purchase one for myself and try. I did a lot of research on whitening kits and the different brands that i can go for and chose brighterwhite in the end. I guess it was mainly due to AmyPham haha. Her teeth is so white i can't help but to order the same thing as hers. So! here is my review! I diligently used it 7 days straight as recommended. My teeth did become whiter but it wasn't as white as Amy Pham's or those that i see on Brighterwhite's instagram page. There is a comparison teeth color card that comes with the kit for us to compare before and after. My teeth was at number 3-4 after the 7th day. I was quite disappointed in that i thought maybe i can get at least to a 2. 3-4 is still a little yellowish. I didn't drink any tea or coffee or do anything that can possibly stain my teeth. So it is either i am not using the kit properly or that my teeth is naturally yellow. lol. I searched up on how to use the kit. There wasn't a lot of information about it besides the website itself. So i'm just going to share on some information that might be useful for you guys! Bought it at $69.95 USD. It took about 2 working days to deliver to Singapore and to my house! I opted for the express delivery. My only problem with this kit is that i can't get a perfect teeth mould! This is a boil and bite technique whereby we use hot water to melt the dental tray and then bite the tray to form the mould. It becomes hard easily once it was away from the water and i can't get a good mould. I emailed Brighterwhite the next day thinking that i may need to go to get a professional teeth mould. They were very efficient and replied the following day. They said there is no need for a perfect mould since the dental tray is only helping to keep the whitening gel on your teeth. The second problem is that i didn't get an even whitening effect on my teeth. Some parts of my teeth are whiter than the rest. However, those whiter parts get washed off after u rinse your mouth a few times.